A new round of the weekly SecurityAffairs newsletter arrived! 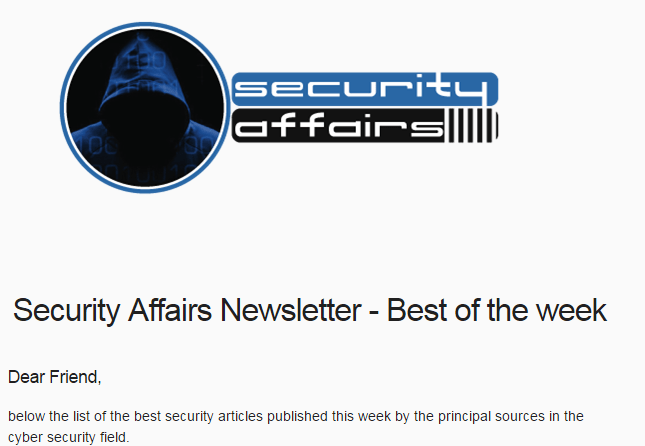 Every week the best security articles from the best sources free for you in your email box. What Does China-Russia No Hack Pact Mean For US? Cybersecurity in the maritime industry, are our ports secure? Email address: Hurry up, subscribe to the newsletter, next Sunday you will receive all the news directly in your inbox.